Xplore offers a unique summer experience for the Asheville community. Each year, we welcome over 40 students from around the world to spend 3-4 weeks with us. During their stay, students are hosted by local volunteer families and attend Xplore’s day camp Monday through Friday. We are looking for enthusiastic, fun-loving, culturally curious staff to join our team this summer! Activity Leaders are required to work afternoons on Mondays, Tuesdays, Thursdays and Fridays and a full day on Wednesdays. Some Saturdays are required. It was an amazing summer! Thank you so much for allowing me to be a part of such a wonderful team :) Memories to last a lifetime. Language is central to what we do at Xplore. Students travel to Asheville from all around the world to strengthen their English language skills. In addition to being immersed in an English speaking environment with their host families, students take English courses at camp. These courses are focused on building confidence in speaking, conversation skills and comprehension. I truly enjoyed my time at camp this summer and I hope to be invited back to teach next summer! Xplore’s summer camp is open to both international students and American students. Most of our American campers come from families who are hosting an international student. In order to integrate cultural exchange into everything we do, we offer Spanish and Italian lessons to our American campers. These courses are focused on building basic language skills, as well as an understanding of the culture of Spain and Italy. Foreign Language Teachers are required to work Monday, Tuesday and Thursday mornings. I loved getting to teach students at Xplore’s camp. It was so wonderful to be a part of this unique experience. 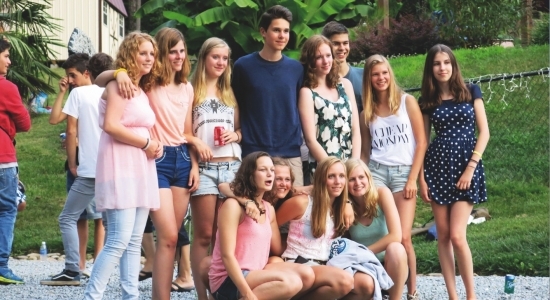 Each summer, in July, families in the wider Asheville area invite foreign students aged between 12 and 18 to live with them. Continuing the focus of cultural exchange, we invite American campers aged between 8 and 18 to join the international students at our intercultural day camp. Day camp is available for non-hosting families, however hosting families can qualify for free and discounted camp! 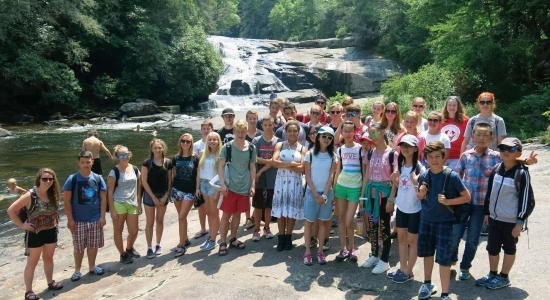 We provide an exciting schedule that encourages participation from both our international and American campers, such as volunteering, foreign language lessons, exploring the best of Asheville, and weekly excursions to leisure highlights in the area including theme parks and white-water rafting.